The 'Miss Tangerine' the latest collection from Etude House and I managed to find these on Ebay for around £7.00 each which is not too bad in my opinion.The collection includes lots of peaches and oranges from lip tints to cheek balls. 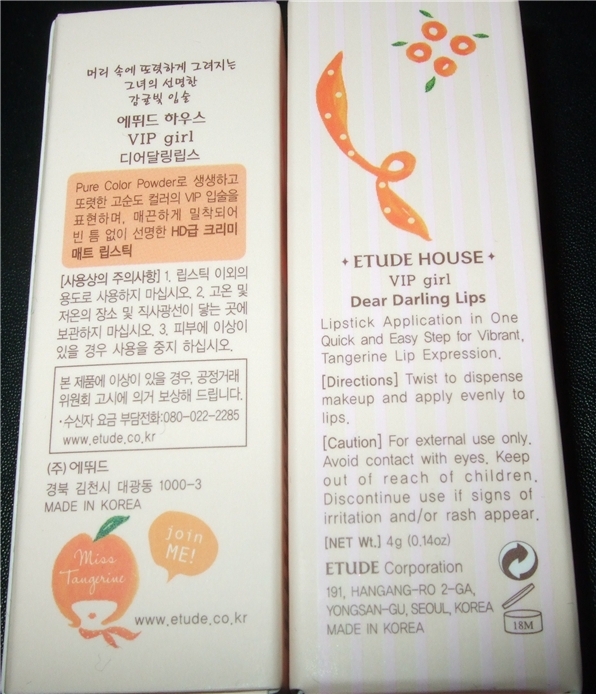 I purchased both the VIP lipsticks from the collection. 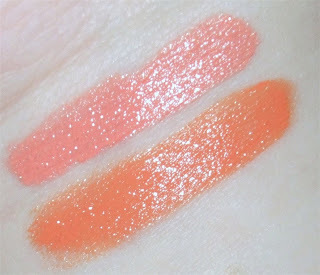 The texture is amazing and it glides on like butter, being opaque and moisturising is always a bonus. Both have a cream finish. I'm also pleased to announce that these lipsticks lasted through a cup of coffee. 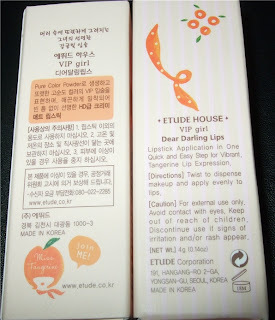 The only negative point I have about Etude's lipsticks is the fact that they're only available in Asian countries and why can't we have pretty packaging like this in the UK? Both of these shades are much brighter in real life, just I think my camera hates bright toned lip swatches. 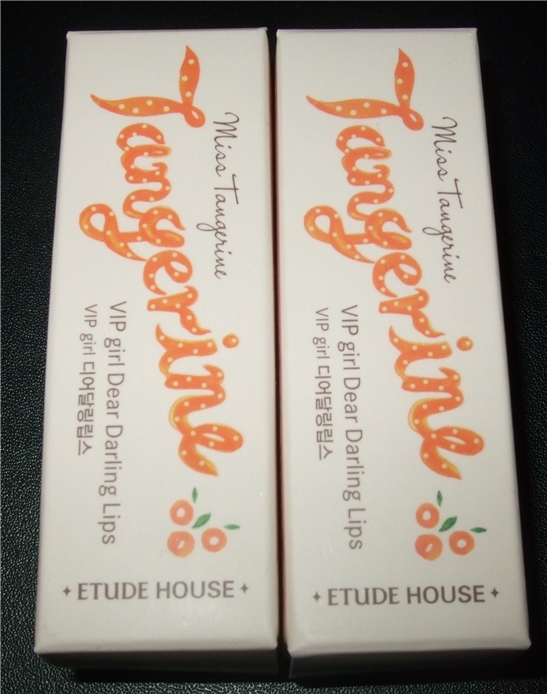 Oh, wow, I love both of these, I'm a sucker for orange lipsticks! I'll have to have a little hunt for these I think! 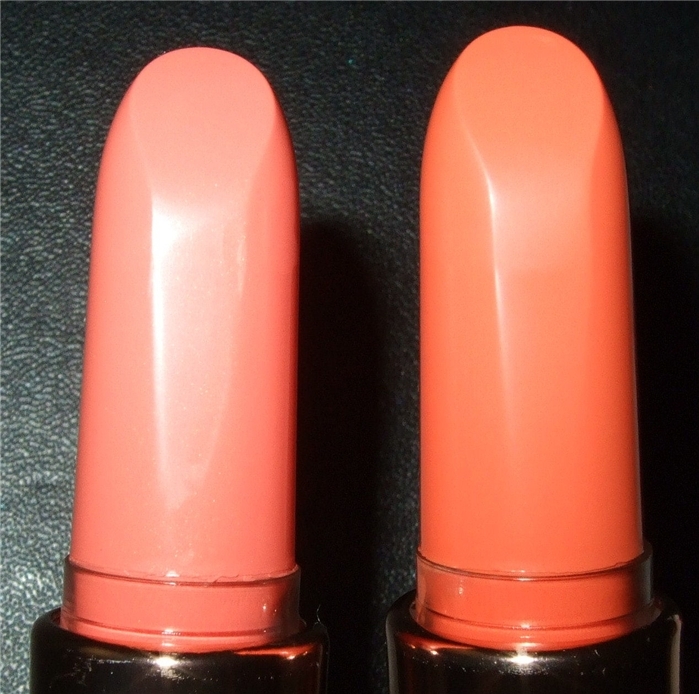 The second shade is my favorite..I've been looking for such a shade for the longest time. 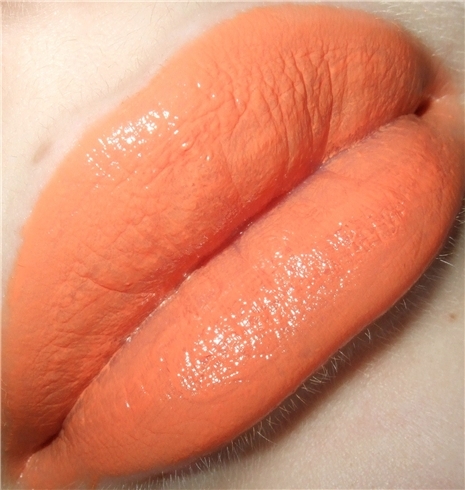 I don't know why it's so hard to find orange lip products in the USA that aren't too pink, too peach or too red. 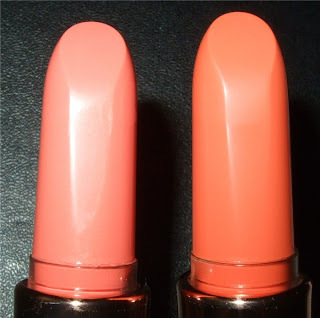 I'm a makeup newbie so maybe MAC has similar shades, but I like to try a different brand. Thanks for swatches..very helpful.